Special thanks to all the volunteers who helped: Setup, work the registers, close out daily, restock books and clean up on the last day. The children always enjoy coming to the Gates Book Fairs because they are so wonderfully run and organized. Family Dine Out at Café Rio on March 16 had a huge showing of Gator families. Thank you to all who came out to dine on great food and support Gates and special thanks to Bernice Torres for planning this dine out and to Bethany Ayala who made over 1,000 copies to send home. Kids Run the OC (KROC) Practices were held on March 3, 17 and 24. Our children are doing a wonderful job building up their endurance to run their final mile on April 30th. Remaining practices are on April 14 and 28. Thank you to all of the coaches, parents on snack duty and the standby helpers who work hard to make this program enjoyable and a success for our children. Jog-a-Thon Update: Thank you for your patience as we work on the prizes. We will call on volunteers soon to help put the prize packages together. Email Dolores at fundraising.gatespta@gmail.com if you can help. Variety Show In-Person Registrations held on March 23 and 24 resulted in 30 acts registered. It’s going to be a great show. Thank you to Bobbie Cunningham, Variety Show Chair and Oivia Renella, Assistant Variety Show Chair for coordinating this PTA Program. The Gator Chalk Festival was a wonderfully relaxing event held on March 18. Dolores Wirth stepped up to chair this Family Event on her birthday. See the chalk drawings of our artistic Gators on the Gates PTA Facebook page. On March 17th, our children enjoyed the Assembly by The Imagination Machine. Thank you to Kristen Moore, Assembly Chair, for coordinating this Assembly. One more is scheduled in May. On March 24th, the Gates PTA Board Members for the 2016-2017 school year were voted in. Congratulations to your new PTA Board Members who will continue to bring wonderful programs and school support for Gates in the school year 2016-2017. The new board will be meeting soon to start planning the next school year. Sincere thanks goes to our Translators: Maria Corrada, Silvia Ritterling, Tanya Kinton, Mariana Bello. The PTA flyers are translated into Spanish by these moms. Thank you Gator Parents for doing a marvelous job in supporting the PTA fundraisers that pay for the wonderful programs (Art Masters, Assemblies) and school support (Health Aide 1 additional day per week) thus far. Gates PTA gifted an additional $8000 towards Kinder to 5th Grade Field Trips and $4300 towards Emergency Preparedness Supplies for our children. Thank you to Bobbie Cunningham, Art Masters Chair and to all the parents that volunteered to help. Mandatory Parent Meeting: April 28, Thursday @ 7:00 pm to 8:00 pm in the MPR. Variety Show Auditions in MPR – April 15, Friday, 3-6pm in the MPR. Auditions for those registered on March 23 and 24th. Audition line up schedule will be posted outside of the office on Wednesday, 4/13/2016 and on www.gatespta.org under Variety Show. For any questions, please email Bobbie or Olivia at varietyshow.gatespta@gmail.com. Family Dine Out @ Lone Star in Lake Forest – April 13, 2016, Wednesday from 11:00 am to 9:00 pm. Flyers were sent home Friday, April 8. April 23rd, Saturday, 9am-12pm. This Program is chaired by Julissa Salamanca and Claudia Weaver and coordinated by their Girl Scouts Troop # 3448. April 14th to 23rd: School Supply Drive. Drop box will be in front of the office. Flyer sent out week of 4/13/2016. 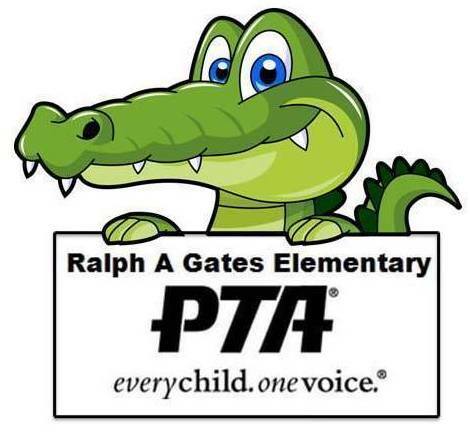 Gates PTA Spirit Wear T-Shirt Design Contest (Kinder through 5th Grade) – Flyer is on Forms section of Gates PTA website and to be sent out this week. Submittal deadline is Friday April 29. Turned in to front office or via email to spiritwear.gatespta@gmail.com. Teacher Appreciation Week will be May 2nd to May 6th. Thank you to Rochelle Ferranto and Dolores Wirth for chairing this event. The chairs will be sending out information soon for poster making, food donations and volunteers needed. Mornings for Mom will be held on the morning of Friday, May 6th. Victor Solis will be chairing this event and will need help from fellow dads to run this event. Fathers, if you are available to help, please email gatespta@gmail.com. General PTA Meeting – May 24, Tuesday @ 7:00 pm in the MPR. Childcare will be provided in Kinder Room 25. The Imagination Machine Assembly – May 26. Gates PTA will start using the messaging system called REMIND. This tool will not record phone numbers and short text reminders of PTA events will only be sent out the day before an event. See flyer in Forms section of Gates PTA website for more details. The paper flyer will go out this week. Short job description for most positions located in Konstella under Gates Elementary (on left) and Committees (on right). If you have a lot or a little time to volunteer to make 2016-2017 a fabulous school year for our children, please contact Cynthia Solis @ gatespta@gmail.com. PTA programs will be in danger of being cancelled if there is no one to chair it. Please reply before the last day of school, June 16, 2016. Muchas gracias a todos los voluntarios que ayudaron: montando, trabajando en la caja registradora, cerrando diariamente, reponiendo libros, y limpiando el ultimo día. Los niños y niñas siempre disfrutan de asistir a la Feria del Libro de Gates por lo organizada que es. Family Dine Out en Café Rio el 16 de Marzo tuvo muy buena asistencia de las familias Gator. Gracias a todos los que asistieron y apoyaron a Gates comprando comida. Gracias a Bernice Torres por planear el evento y a Bethany Ayala por hacer mas de 1,000 copias de los folletos enviados a las casas. Prácticas de Kids Run the OC (KROC) el 3, 17, y 24 de Marzo. Nuestros niños y niñas están haciendo un trabajo maravillosos mejorando su resistencia para correr la ultima milla el 30 de Abril. Las últimas prácticas serán el 14 y 28 de Abril. Gracias a todos los entrenadores, padres que preparan meriendas, y ayudantes que trabajan tanto para hacer este programa divertido y exitoso para nuestros niños y niñas. Jog-a-Thon:Gracias por su paciencia mientras trabajamos con los premios. Necesitamos voluntarios para organizar los paquetes de premios. Envíele un mensaje Dolores at fundraising.gatespta@gmail.com si puede ayudar. Audiciones para el Show de Variedades se llevaron a cabo el 23 y 24 de Marzo resultando en 30 actos registrados. Será un gran espectáculo. Gracias a Bobbie Cunningham, coordinadora del espectáculo de variedades y a Oivia Renella coordinadora asistente por organizar este evento de la PTA. El Festival de Tiza Gator fue llevado a cabo el 18 de Marzo. Gracias a Dolores Wirth por organizar ese maravilloso evento familiar el día de su cumpleaños. Vea los dibujos en tiza de nuestros artistas Gators en la pagina de Facebook de Gates PTA. El 17 de Marzo nuestros hijos e hijas disfrutaron de una Asamblea con la compañía de teatro The Imagination Machine. Gracias a Kristen Moore, por coordinar la actividad. Habrá otra Asamblea en Mayo. Muchas gracias a nuestras Traductoras María Corrada, Silvia Ritterling, Tanya Kinton, Mariana Bello. Los folletos de PTA son traducidos al español por estas dedicadas madres. Los Miembros de la Junta de Gates PTA para el año escolar 2016-2017 fueron elegidos el 24 de Marzo. Felicidades a los nuevos miembros quienes continuaran organizando maravillosos programas y apoyando a nuestra escuela. La nueva Junta pronto comenzará a reunirse para planear actividades del nuevo año escolar. Gracias Padres y Madres Gator por apoyar los programas de recaudación de fondos de la PTA que pagan por los estupendos programas de Art Masters, Asambleas, Ayudante de salud por 1 día adicional cada semana, entre otros. La PTA de Gates regaló $8000 para excursiones de Kinder a 5to Grado y $4300 para suministros de preparación para emergencias para nuestros niños y niñas. Artista: Paul Gauguin – conocido por sus brillantes paisajes de Tahiti, le ayuda a los estudiantes a explorar colores abstractos y el efecto del color en el estado de animo. Gracias a Bobbie Cunningham, coordinara de Art Masters, y a todos los padres y madres que ayudaron en el evento. Audiciones para el Espectáculo de Variedades en el MPR – Viernes 15 de Abril, 3-6pm. Audiciones para todos los registrados el 23 y 24 de Marzo. El orden de las audiciones aparecerá en una lista junto a la oficina el miércoles 13 de Abril. Cualquier pregunta, por favor envíele mensaje a Bobbie u Olivia a varietyshow.gatespta@gmail.com. Family Dine Out en Lone Star en Lake Forest – Miércoles 13 de 2016 de 11:00 am a 9:00 pm. Embellecimiento de la Escuela – Sábado 13 de Abril, 9am a 12pm. Este programa es dirigido por Julissa Salamanca y Claudia Weaver y coordinado por la tropa #3448 de las Niñas Escuchas. Donaciones de Materiales Escolares del 14 al 23 de Abril. Caja de recolección frente a la oficina. Detalles serán distribuidos por Konstella y folletos enviados a las casas. Concurso de Diseño de Camisetas de Gates PTA (Kinder a 5to Grado) – El folleto con detalles será enviado con los estudiantes. La fecha límite para someter un diseño es el Viernes 29 de Abril. Entréguelo a la oficina o por correo electrónico a spiritwear.gatespta@gmail.com. Semana de Apreciación de Maestras y Maestros del 2 al 6 de Mayo. Gracias a Rochelle Ferranto y Dolores Wirth por coordinar este evento. La información para crear carteles, donación de comida, y necesidad de voluntarios será enviada próximamente..
Mañanas para Mamá se llevará a cabo la mañana del 6 de Mayo. Victor Solis coordinará el evento y necesitará ayuda de otros padres. Padres, si pueden ayudar por favor envíe mensaje gatespta@gmail.com. Función, Viernes 20 de Mayo, 6:30pm a 8:30pm en el Auditorio de la Escuela Intermedia Los Alisos. Si tiene preguntas envíele mensaje a Bobbie u Olivia a varietyshow.gatespta@gmail.com. Junta General de la PTA Meeting – Martes 24 de Mayo, a las 7:00 pm en el MPR. Habrá cuido de niños en el salón 25 de Kinder. Asamblea con la Compania de Teatro Imagination Machine – 26 de Mayo. La PTA de Gates ha comenzado a usar un nuevo sistema de mensajes llamado REMIND. Con este sistema la PTA nunca sabrá su numero de teléfono y solo enviará mensajes recordatorios de texto cortos el día antes del evento. Vea el folleto adjunto. Un folleto en papel será enviado esta semana. *Trabajo que se puede hacer desde el hogar. Si tiene mucho o poco tiempo para ayudar como voluntario para hacer el 2016-2017 un año escolar fabuloso para nuestros niños, por favor comuníquese con Cynthia Solis gatespta@gmail.com o (949) 412-4875. Los programas de la PTA tendrán que ser cancelados si no hay nadie para coordinarlos. Por favor si esta dispuesta o dispuesto a ayudar responda antes del ultimo día escolar el 16 de Junio 2016.